As we learned in the last post, the conservation required for many precious metals is a time-consuming and difficult process. Since these metals have been underwater for many years (sometimes hundreds) it is not possible to just take them out of the ocean. Iron, steel, copper, bronze, brass and silver are all quite challenging to preserve. If the proper steps are not taken, the artifact can be destroyed forever. Unlike the previously mentioned metals, gold and platinum are very different. These metals are considered ‘noble’ and so do not become corroded, no matter how long they are underwater. The chemical reason that metals corrode is that their molecules bond with the oxygen molecules that are in air and water. The salt in ocean water tends to speed this process up (electrons move faster in saltwater than in fresh water). Noble elements are less unstable chemically. Every element has in its atoms something called a d-band, which has a certain amount of electrons in it. When this band is filled, it is said that the element is noble, as it is not seeking to fill the empty space in the d-band. Elements with unfilled d-bands tend to be more reactive and unstable, as their electrons are moving around more freely. This does not mean that it is impossible to corrode platinum or gold. They can both be dissolved in a mixture of nitric and hydrochloric acid. Also, over an extended period of time (many hundreds of years) mild corrosion can show up on metals like gold or platinum. Silver is considered a noble metal too, but the reason silver is able to be corroded more quickly is because it has an aversion to sulfur. When silver interacts with sulfur, it causes a tarnish to occur that can be challenging to remove. 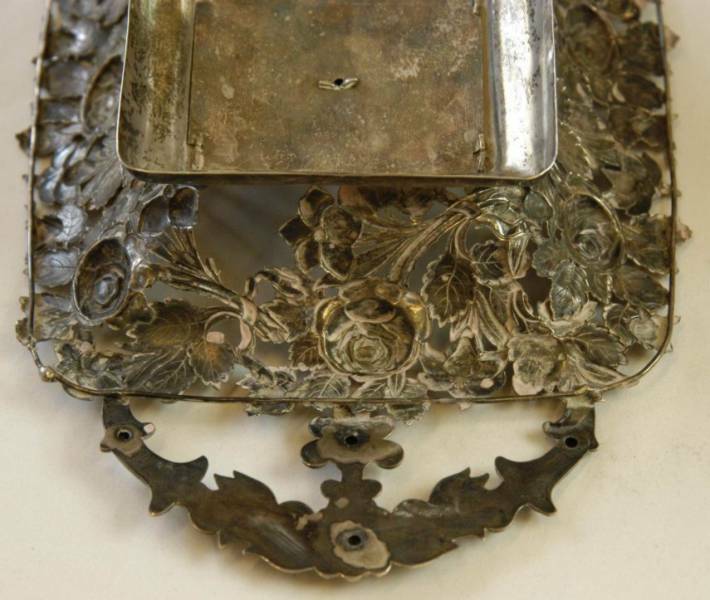 In normal circumstances, silver will not tarnish in the air with the ease that a metal like iron or steel might corrode. Sulfur is present in saltwater and so tends to speed up the corrosion process for silver. Iron tends to be the most unstable metal, as anyone who has left iron out in the rain will know well. The iron oxide reaction that occurs when iron and oxygen interact causes rust. The corrosion of silver is a different type of reaction, and all metals have their own unique reaction to saltwater. Thus, there are many different types of corrosion to be aware of if you are working to conserve artifacts from shipwrecks. Have you heard about or followed up on any underwater electrolysis studies? The only use I can see this for is for objects that might be damaged with just a short exposure to oxygen. Have you seen any of the test results concerning conducting electrolysis underwater? I lost track of the experiments being conducted on this. Ashley, Thanks much for your expanded article about artifact corrosion in salt water…to include gold and platinum. Working on the end of my fourth novel, THE BEDDINGTON INCIDENT, and did wonder about gold artifacts that had been exposed to sea water. Thanks again.